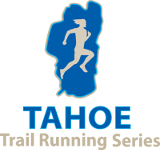 The Emerald Bay Trail Run starts at Eagle Point and then takes you around Emerald Bay and up the Rubicon Trail to D.L. Bliss State Park to finish at Lester Beach. The course is a 7 mile/11Km (approximate) point to point route. The course features a mostly single track route with moderate climbs and descents. The trail is somewhat technical with natural granite steps. It is hard not to look at the stellar views of Lake Tahoe! Emerald Bay State Park is considered one of the most beautiful areas in the United States, as evidenced by its status as a Registered Natural Landmark. Carved by ancient glaciers, Emerald Bay offers unequaled scenic hiking, and trail running. Majestic Emerald Bay is just a small part of this beautiful and pristine State Park covering 1,830 acres of the Sierra Nevada Mountains. You will find six miles of both rocky and sandy beaches on the magnificent shoreline. You will see ponderosa and jeffrey pines, red and white fir, cedar, junipers and cottonwood, and gnarled and stunted sugar pines. From promontories such as Rubicon Point in D.L. Bliss State Park you can see over one hundred feet into the depths of Lake Tahoe. From the crest of Eagle Falls in Emerald Bay State Park, you can see a brilliant panorama of Emerald Bay, Fannette Island, Lake Tahoe, and the distant Nevada shore. Plan on spending the entire day, because once you get here, you won’t want to leave. On Race Day. See venue map for directions. The Emerald Bay Trail Run starts at Eagle Point and then takes you around Emerald Bay and up the Rubicon Trail to D.L. Bliss State Park to finish at Lester Beach. The course is a 7 mile point to point route. The course features mostly single track, natural granite steps, and moderate climbing and descending. Parking is located at Eagle Point Campground. A shuttle service is provided after the event from D.L. Bliss State Park/Lester Beach (finish) to Eagle Point Campground (start). You may also park at D.L. Bliss, $10, and make your own arrangements to make it to the start on time. If you have to leave quickly after the finish, we recommend you make your own shuttle arrangements as the shuttle vans carry 20 people per trip. Final shuttle departs Lester Beach (finish) at 1:00 PM. 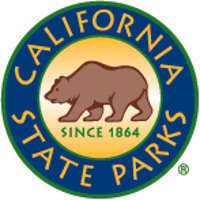 The parking lot at Eagle Point Campground closes at 2:30PM. Make sure your vehicle doesn’t get locked in as if it does it has to sleep over.